Product #6172 | SKU GOP-490 | 0.0 (no ratings yet) Thanks for your rating! Hosa Fiber Optic Adapter. 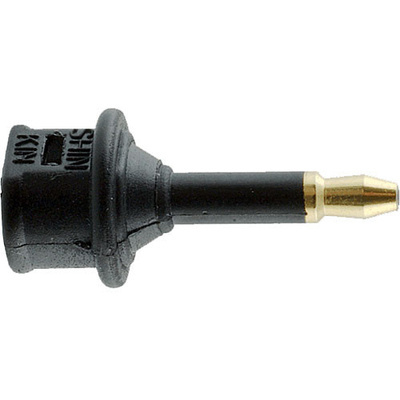 This adaptor is designed to adapt an optical cable with a male Toslink connector to a 3.5 mm combo jack. It is ideal for connecting an iMac, MiniDisc player, or similar device to a Toslink-equipped component. This adapter will not convert the signal type or degrade signal quality.